Whenever possible it is best to purchase live rock from a local fish store or wholesaler, because most have live rock in stock that is cured and ready to go, and you can physically see it before buying. Here are some buying points on what to look for and questions you should ask. If you are not able to have a separate set up for curing fresh live rock, buy it cured. Don't allow yourself to be talked into purchasing mass quantities that you cannot handle. Only buy what you really need, and remember, don't overload your system. Inspect the rock visually, as well as smell it. If any growth on it appears to be dying off or any detection of a foul odor is present, it is wise not to buy it, as it is probably still curing and may present you with problems you don't need. Inspect the live rock for any unwanted pests or hitchhikers, such as bristle worms and anemones. What supplemental additives have they been using in their system, if any, while curing the live rock? If you run across "must have rock" that may not be ready, understand that and accept the responsibility and possible consequences of complications that may arise if you choose to buy it. "Unlike other shippers, we ship our rock submerged, as long as the customer understands the freight will cost more, but the rock will ship in a condition of readiness to place right in your tank. Just open the bucket, gently shake the rock when placing into your water to remove any air pockets inside the porous rock, and place in the tank. We ship out top quality rock this way, as the corals have a much better survival rate. 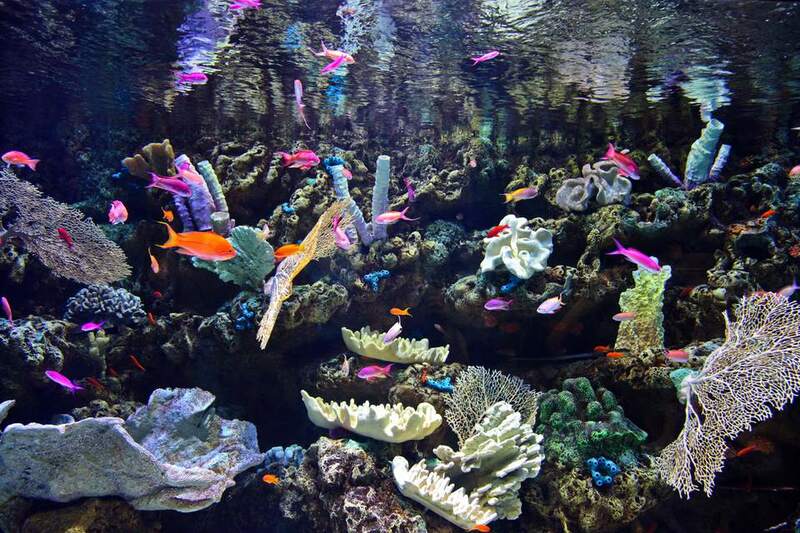 The decorator live rock is best shipped underwater also, as there is just as much life on it, but minus the corals. The base rock can be shipped dry, but 36 hours is not acceptable shipping duration for us. We would find alternate ways of shipping. Unlike transhipped Fiji rock, for example, it may take many days to arrive. Rock that we ship to the USA, Canada, and Europe can be shipped and received within 24 hours. Shipping time is the key to whether or not rock has to be cured." Choose responsible shipping. Yes, you may pay a little more for the shipping cost, but isn't it a small price to pay for healthy live rock that when it arrives you can put right into your tank with minimal concern. The supplier that you purchase mail order live rock from should be reputable, be able to ship your live rock properly, and give you suggestions or instructions for introduction into your aquarium. Know what you are buying, and ask questions! Exactly what kind of live rock will you be receiving? You'll find live rock labeled with names like cured, seeded, procured, fully cured and cycled, which usually means it can be placed directly into the main aquarium with minimal concern, but only under certain Guidelines. Names like uncured, fresh and transhipped usually means that it is live rock that should not be placed directly into the main aquarium, and you should fully cure it first. Depending on the type of rock, some are denser (heavier) than others and much less porous, and some will have ample live growth on them, while others may have minimal growth. Once again, don't allow yourself to be talked into purchasing mass quantities that you cannot handle. Only buy what you really need, and remember, don't overload your system. How does the supplier pack their live rock for shipping? How does the supplier ship their live rock? Remember, transit time is one of the most important points. The longer the transit time, die off levels increase. Where is the supplier physically located? Choosing a mail order store that is relatively close to your geographic location can cut down on transit time. Does the supplier have a guarantee? Does it protect you against possible complications that may arise from shipping, i.e. lost, delayed, or damaged orders? If you have never done business with a particular mail order supplier before, get input from other aquarists if they have. This can be accomplished through emails, message boards, and chat rooms. Were they pleased with product, service, quality, etc., and would they do business with them again? What if you don't want to spend or have a lot of money to buy live rock? That's easy. Just make your own. What Does Curing Live Rock Mean? Why Is My Aquarium Live Rock Turning White? How Do You Make a DIY Aquarium Chiller?